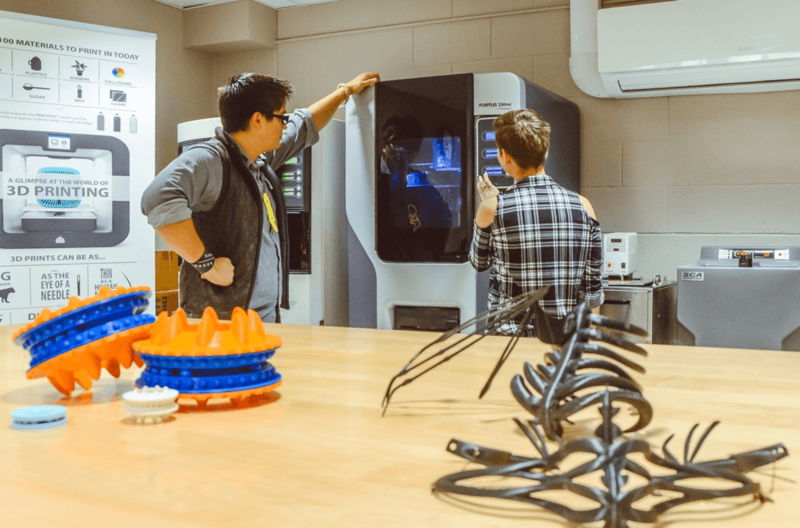 3D printing-centered learning spaces are becoming an increasingly popular way for students across Penn State’s campuses to explore innovative technology, while also gaining skills for their future careers. The Penn State Altoona’s Center for Additive Manufacturing and Printing (CAMP) is no exception, and visual arts students have been using it frequently to elevate their artwork. Although the campus founded The CAMP in 2015, a couple of classes have been working with 3D printing since 2002. Through the center, 3D printing has become accessible to the entire campus community. The CAMP is located in the Doing Better Business 3D Printer Lab in the campus’s Robert E. Eiche Library. Funded and supported by Doing Better Business and the campus’s engineering and visual arts studies programs, The CAMP provides a variety of 3D printers that allow the campus community to explore and understand how this innovative technology will change the future. Using the space, visual arts students create various types of artwork, including jewelry, sculptures, and vinyl decals, some of which they display at the annual campus student art exhibition. The CAMP has significantly enhanced student learning and engagement. Strzelec has found students regularly work in the center outside of class time. “When students choose to work in The CAMP when they’re not in class it means they’re truly engaged. It’s meeting them intellectually and creatively in a way they weren’t getting elsewhere,” said Strzelec. 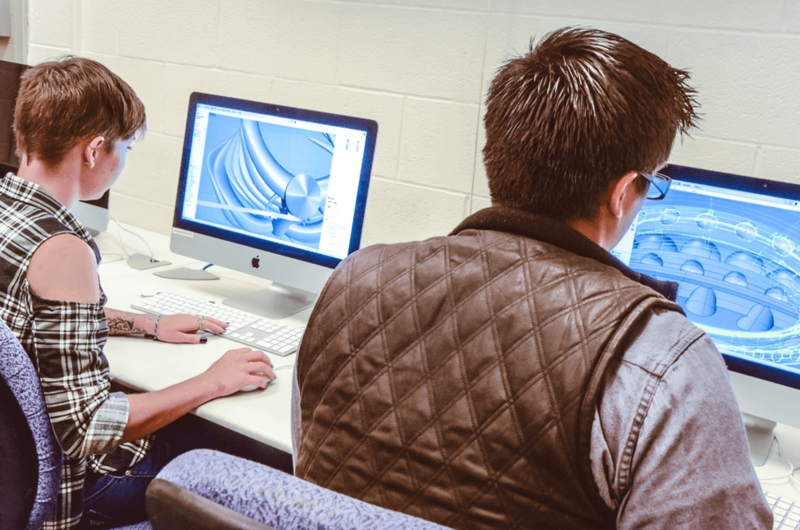 Visual arts seniors Emily Wagner (left) and Josh Weyandt develop their 3D designs through computer software. Artists today need to be multifaceted problem solvers, which means having experience with many diverse tools and modes of making. Some visual arts students, like senior Josh Weyandt, plan to pursue careers which will leverage their knowledge of 3D modeling. One such field is video game creation, where Weyandt aspires to work in character design.